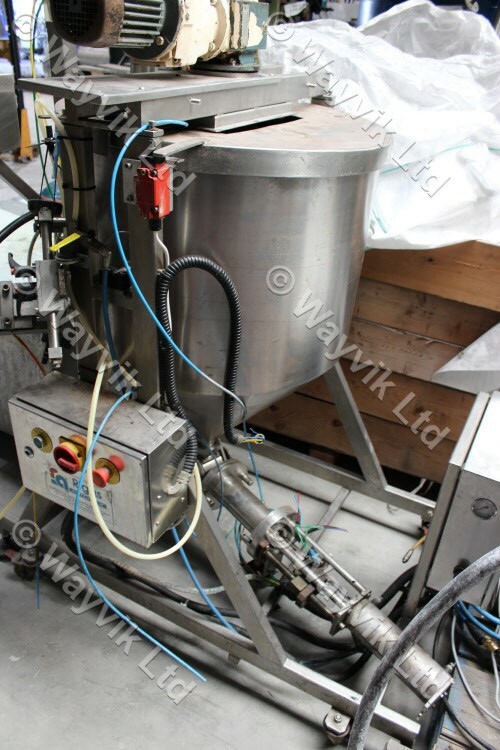 Stainless steel pneumatically actuated depositor with 250-litre stainless steel agitated hopper 700mm dia X 520mm deep on straight plus 380mm Deep cone section. Removable two-piece flat top. Gate type agitator with 0.37kW 415/3/50 motor and gearbox. Mounted on mobile stainless steel support frame. Ex food use.